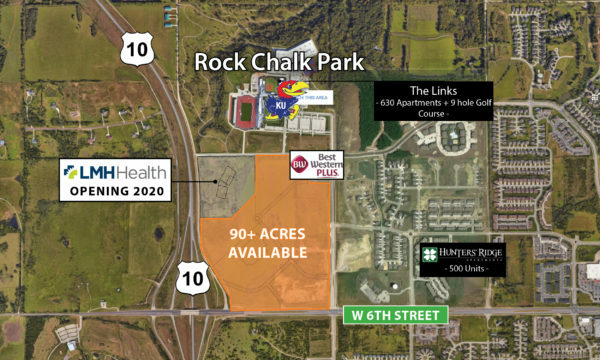 Located adjacent to Rock Chalk Park, the new regional sports complex and home of KU Athletics. A development truly designed to grow with the City of Lawrence. Pad sites and land available.